Anna has been in the dance and performing industry since she was four years old. She started from arrhythmic gymnastics where she won certificates and trophies until the age of ten. She then was accepted into the Choreographic College of Ballet in Belarus where she studied classical, folk, modern and other styles of ballet. During this time she traveled with the college all over Eastern and Western Europe such as Germany, Czechoslovakia, France, Latvia, Vietnam, and all parts of Russia. She performed in international competitions representing the country of Belarus. Anna has performed leading roles in many ballet’s including Swan Lake, The Nutcracker, Corsair, Sleeping Beauty, Don Quixote and Raymonda. She performed for the Queen of the Netherlands and for Chelsea Clinton. Anna was also an actress in the movie “Russian Arc” which made the Guinness Book of World Records for non stop taping in the Hermitage in St. Petersburg, Russia. Being the Valedictorian of her graduating class she went to the United States with the International Group of Performers in 1998. Anna traveled the U.S. performing folk and classical Russian ballet while teaching children and adults. 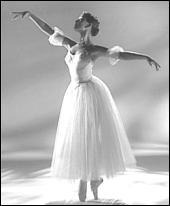 From there she worked and performed with the Carolina Ballet and was also teaching gymnastics and ballet for children. She was recognized as a beautiful example of a classically polished professional ballerina in the movie “A Parents Guide to Ballet”. Mrs. Anna is also a wonderful Mommy to her beautiful sons, Alek and Evan.